Hello! 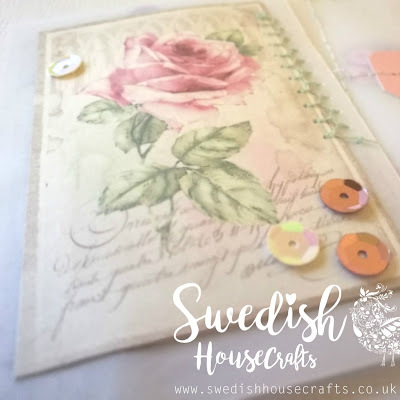 It's Clair here with my last, little makes for Swedish House Crafts! It's so sad, but work has become a little too busy for me to continue on! I wanted to use some of my favourite items from the Swedish House Crafts store, so it's a soft, romantic selection this morning! 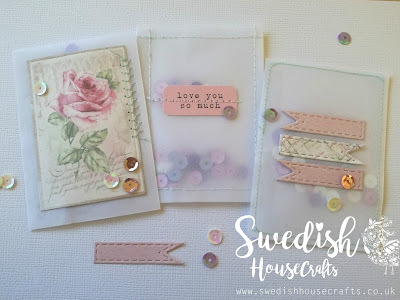 I've made some little ATC sized 'Pockets' with the Crafter's Companion Printable Vellum. 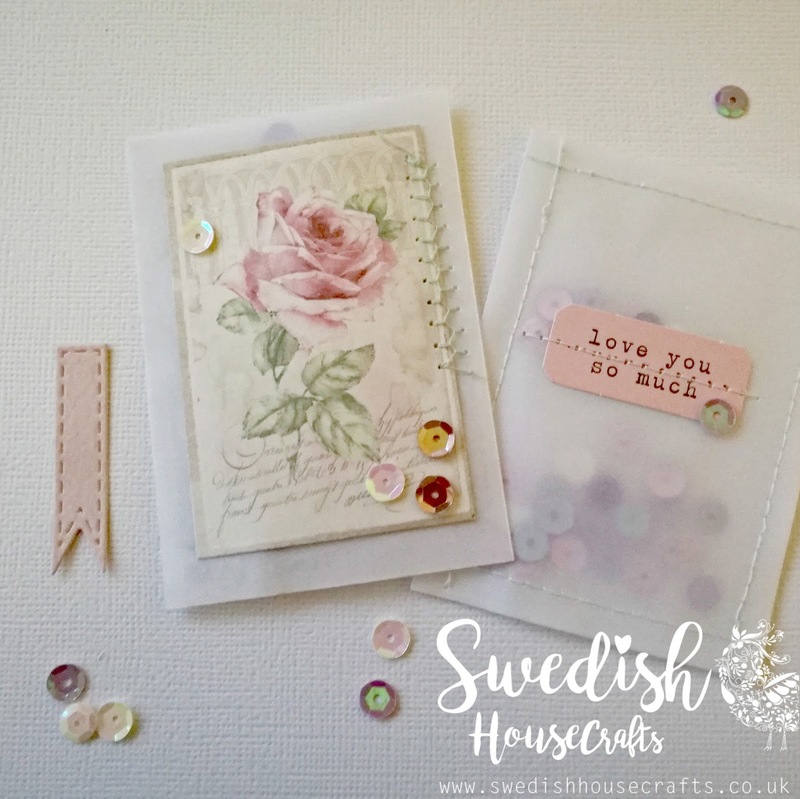 I've filled them with a mix of the Milk White Sequins and Vintage Pink Sequins, then sealed the sides with the amazing Crafter's Companion Extra Strong Permanent Glue Tape Pen. I used the smallest die from the Gummiapan 'Thin Stitched Banners Die Set" to make some little banners and added them to the front of one pocket. I made the banners using some teeny, little leftovers from my other makes - and, honestly, this die set is such a fabulous way to make the most of even the smallest little bit of cardstock! (The Thin set is currently out of stock, but the "normal" sized "Nesting Stitched Banners" are available). 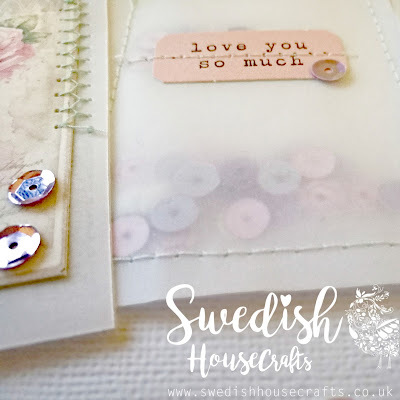 I then decorated the front of the other "Pockets" with some of my other favourites from the Sofiero Collection from Maja Design, added a little stitching - and then finished off by adding some extra sequins! Because really, who doesn't love a sequin?